Here is a top-line overview of the changes, followed by more complete “Fast Facts” product information. 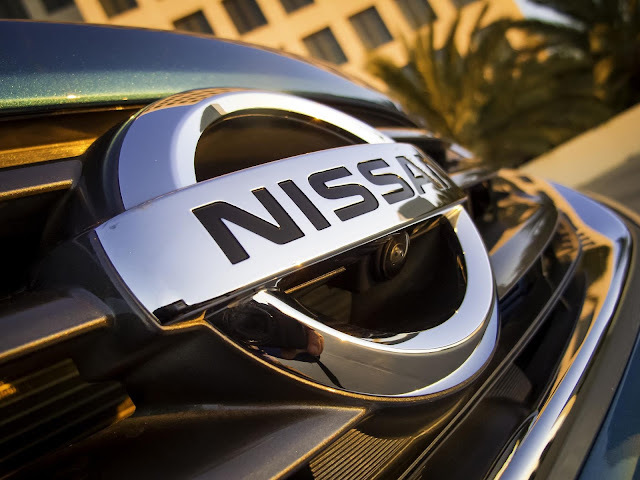 As always, stay tuned to NissanNews.com for the latest updates on Nissan products, pricing and other activities in the United States and around the world. The highly innovative, industry leading Nissan LEAF 100-percent electric vehicle received a number of important enhancements in 2013, including the addition of a new lower priced LEAF S grade, an array of new features for the LEAF SL grade, new option packages with available Around View® Monitor and an available 6.6 kW onboard charger that reduces 220V charging time nearly in half to approximately four hours for a full charge. LEAF’s CARWINGS telematics system includes remote charge and climate control management, the ability to view charging station availability in vehicle from an expanding list of networks, and POIs powered by Google®. The 2014 Nissan Versa Note is the fourth of five all-new vehicles being introduced in 2012 and 2013 – following the totally redesigned Altima, Pathfinder and Sentra. * MSRP excludes applicable tax, title, license fees and destination charges. Dealer sets actual price. *Damage resulting from racing, competitive driving, track and/or airstrip use not covered by warranty. See your New Vehicle Limited Warranty and Owner’s Manual for proper vehicle operation and complete warranty details. The 2014 Nissan 370Z continues to offer extraordinary performance design and an unmatched heritage as one of the most iconic sports cars in automotive history. 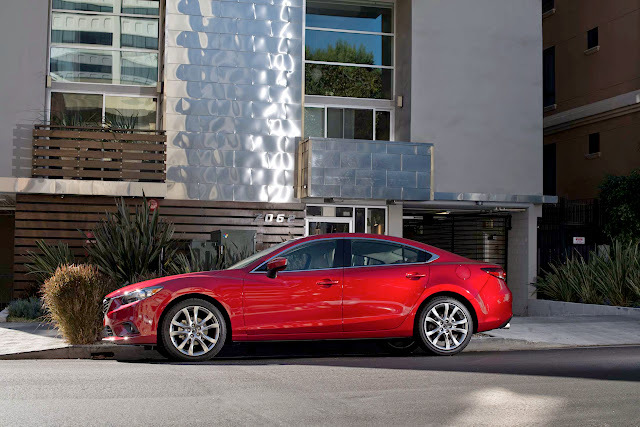 There are no major enhancements for the 2014 model year. Like the 370 Coupe, the 2014 370Z Roadster offers unique design, performance and value – with the added exhilarating sensory experience of an advanced fully automatic convertible design. There are no major enhancements for the 2014 model year. The stylish and roomy Nissan Armada once again combines unbridled power, premium interior comfort and a wide range of available technology, making it a standout in the full-size SUV segment. There are no major enhancements for the 2014 model year. The big news regarding Nissan’s popular JUKE SUV continues to be the new JUKE NISMO, which made its debut in spring 2013 at the Chicago Auto Show. The 2014 Murano CrossCabriolet was introduced in early 2013 calendar year. It continues to provide a unique, all-season perspective on driving as the world’s first all-wheel drive crossover convertible. After revitalizing sales of the legendary Pathfinder nameplate with the 2013 introduction of an all-new fourth-generation design, Nissan’s iconic SUV takes another major step forward in the 2014 model year with the introduction of the first-ever Pathfinder Hybrid. At the heart of the new Pathfinder Hybrid – which is offered in 2-wheel drive and 4-wheel drive configurations – is its supercharged 2.5-liter 4-cylinder gasoline engine and an electric motor paired to a compact Lithium-ion (Li-ion) battery. The Li-ion battery fits under the 3rd row seat so there is no compromise of passenger seating capacity, 2nd or 3rd row legroom or cargo space. The hybrid system uses a Nissan Intelligent Dual Clutch System (one motor / two clutch parallel system) that efficiently manages power from both the electric motor and the gas engine. The 15 kW electric motor and gas engine work in tandem to provide performance equivalent to the non-hybrid Pathfinder’s 3.5-liter gasoline V6. The system is rated at 250 net horsepower and 243 lb-ft of torque – versus the 3.5-liter V6 ratings of 260 horsepower and 240 lb-ft of torque. An all-new generation of Nissan’s popular Rogue compact SUV is set to debut in fall 2013. Full details will be available at a later date. Titan is again offered in King Cab and Crew Cab body styles with a choice of 4×2 and 4×4 drive configurations, along with two wheelbases (138.9 inches and 159.5 inches) and three bed lengths. There are no major enhancements for 2014. Nissan Commercial Vehicles started business in the United States in spring 2011 after operating in Japan and globally since 1935. The lineup now includes the NV Cargo, the NV Passenger and the all-new NV200 Compact Cargo. The NV Cargo and NV Passenger are assembled in Canton, Mississippi and the NV200 Compact Cargo is assembled in Cuernavaca, Mexico. All three vehicles are sold through a network of 300-plus certified Nissan Commercial Vehicle dealers nationwide. The innovative NV200 “Taxi of Tomorrow” goes into service in New York City in fall 2013. The all-new NV200 Compact Cargo van – the “next innovation for business” provides large cargo capacity with a small exterior footprint. Launched in the U.S. in spring 2013, it offers an efficient 2.0-liter 16-valve 4-cylinder engine, next-gen gen Xtronic CVT, roomy cargo area (allows for loading standard U.S. 40×48-inch pallets) and 1,500-pound maximum payload. There are no major enhancements for 2014. The Nissan NV200 Taxi is New York City’s “Taxi of Tomorrow.” The product of a unique development collaboration, the NV 200 Taxi reflects the input of hundreds of taxi owners and drivers, and thousands of passengers from all walks of life. Summary The centerpiece of the Nissan lineup and one of the top selling cars in the U.S. Offers a rewarding driving experience, premium exterior and interior and driver-focused technology. Summary The innovative Nissan cube® continues to offer the unique style and flexibility that stands out in class – with an asymmetrical rear window, refrigerator-style rear door and wide range of personal accessories. Summary The established leader in the “no gas, no tailpipe” zero-emission era, the fully electric LEAF is now assembled in Smyrna, Tenn., including battery production. Summary Nissan’s flagship sedan continues to offer breakthrough sports sedan styling, a driver-oriented cockpit, ample comfort and luxury and an advanced drivetrain anchored by Nissan’s legendary VQ-series V6 engine. Offers a class-above look and feel inside and out, along with engineering efficiency that results in outstanding highway fuel economy – along with exceptional rear seat legroom (37.4 inches) and ample trunk capacity. Enhancements include revised CVT, suspension and steering tuning. Summary Nissan’s entry-level Versa Sedan sets the standard in the segment, combining a sophisticated exterior design, well-appointed interior and exceptional room for five adults – including more rear legroom than some mid-size sedans. Ranked “America’s best-selling entry sedan”* in 2012. *According to Polk U.S. New Vehicle Registrations, for the entry level segment, sedan only, Jan-Dec 2012. Summary All-new design for 2014 – offering highway fuel economy of 40 mpg and fuel efficiency of 31 mpg city and 35 mpg combined. Versa Note also offers an energetic exterior design and ample total interior volume, front headroom, rear legroom and cargo volume (with rear seats up). Class-exclusive* technology includes an available Around View® Monitor, Active Grille Shutter and Tire Pressure Monitoring System with Easy Fill Tire Alert. *AutoPacific segmentation. MY14 Versa Note v. 2013 Economy Compact Class, 5 passenger vehicles, excluding electrics and hybrids. 2013 EPA estimate for 2014 Versa Note 40 MPG Hwy. Actual mileage may vary – use for comparison only. Shares class lead with Ford Fiesta and Chevrolet Sonic. Summary The GT-R is the purest, most passionate expression of the Nissan brand. Already one of the most legendary street supercars in automotive history, the Nissan GT-R raises the bar again in 2014 with the introduction of the new Track Edition, which is designed to take it even closer to a pure motorsports competition machine. The Track Edition features a specially tuned suspension, special brake cooling air guides, front spoiler with carbon fiber air ducts and a lightweight quilted cloth mat where the rear seats usually reside. Availability is limited to 150 units for the United States. Summary The 2014 370Z NISMO follows the new NISMO design theme with distinctive new exterior and interior accents, including dark grey accents and red stripes. As in previous years, it stands apart from non-NISMO 370Z Coupe models with 350 horsepower, racing-inspired exterior and interior styling, a specially tuned suspension and unique super-lightweight forged alloy wheels. Summary The stylish, powerful and roomy Nissan Armada combines unbridled power, premium interior comfort and a wide range of available technology, making it a standout in the full-size SUV segment. Summary The boldly styled Nissan JUKE offers acclaimed levels of performance and an available advanced Torque Vectoring AWD system with performance technology often reserved for premium vehicles. JUKE NISMO, introduced late in the 2013 model year, features nearly 100 individual revised components, including a NISMO-tuned 197-horsepower 1.6-liter DIG turbo engine, NISMO-tuned suspension, bold aerodynamic styling with a 37 percent improvement in downforce (versus non-NISMO models), NISMO interior with deeply bolstered front seats and red accents and lightweight 18-inch aluminum-alloy wheels. Summary The Murano, Nissan’s premium crafted crossover, continues as one of the most distinctively styled vehicles in its class both inside and out. Available advanced Safety Shield technologies include Moving Object Detection (MOD), Blind Spot Warning (BSW) and Lane Departure Warning (LDW) systems. Summary The Murano CrossCabriolet provides a unique, all-season perspective on driving as the world’s first all-wheel drive crossover convertible. 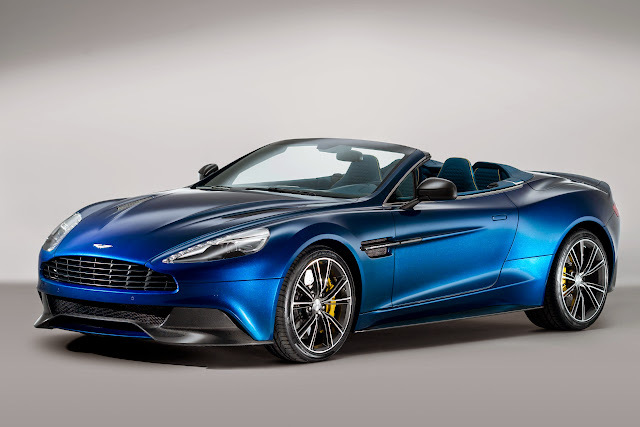 Its designers rethought the convertible experience by rethinking the trunk – giving it an extraordinarily engineered, fully automatic cloth convertible top that folds to about the size of a 2-seat roadster top. As a result, there’s ample room for four adults and plenty of cargo space with the top up or down. Summary The all-new 4th generation Pathfinder, introduced for model year 2013, combines family adventure capability with seating for seven, intuitive 4WD and 5000-pound standard towing capacity (when properly equipped) – along with an unprecedented level of premium style, comfort and thoughtful technology. In addition to its long list of best-in-class and unique-to-class specifications and features, a new Pathfinder Hybrid is added for 2014, delivering 28 mpg highway with no compromise of interior or cargo space. Summary The adventure-ready Nissan Xterra combines power, utility, value and authenticity. Xterra’s distinct “multi-flex” interior provides an abundance of useable space, storage and convenience features – including an available Easy Clean cargo area, Utili-Track® cargo carrying system, tie-down channel system, 10 cargo hooks and an available built-in first-aid kit. Summary The Nissan Frontier, which combines premium hardware, extraordinary power and off-road athleticism, continues to be a leader in the mid-size truck segment. It offers an exceptional level of on- and off-road performance with the use of a 4.0-liter DOHC V6 engine rated at 261 horsepower and 281 lb-ft of torque. A 152-horsepower 2.5-liter inline 4-cylinder engine is also available (King Cab only). With its strong performance, combined with good fuel mileage (19 city, 23 highway, I4 King Cab 2WD M/T), the Frontier is a fitting truck for work or play. Summary The powerful full-size Nissan Titan has established an outstanding reputation as a rugged, reliable choice for active truck buyers seeking style, innovation and excellent value. It offers a range of body, bed and drivetrain configurations to fit a variety of buyer needs and uses – from durable business tool to versatile family adventurer. Summary First introduced to the United States market in spring 2011, the Nissan NV Cargo van is a true standard bearer in the commercial van segment. Designed from the ground up, from its rugged ladder frame to the roof rack mounting brackets on the top of the innovatively conceived and styled body, the Nissan NV Cargo is available in three innovative versions and in Standard Roof and High Roof body configurations. High Roof models offer most users stand-up walkthrough/work cargo area capability. Summary Offered for both personal and commercial use, the 4-row/12-passenger Nissan NV Passenger features the most flexible seating configurations in the full-size passenger van segment, along with segment-exclusive roof-mounted curtain supplemental air bags for side-impact and rollover head protection for all outboard passengers and standard head restraints and integrated seat belts for all rear seating positions. Summary As the next “innovation for business,” the NV200 Compact Cargo van is designed as a “right-sized” entry point for current cargo van and small pickup buyers looking for an alternative to their larger, less fuel-efficient vehicles. It offers 122.7 cubic feet of cargo space behind the front seats and a 53-inch cargo height, which is comparable to many standard roof full-size vans. It also features tall cargo door openings – including the standard 40/60-split rear doors – and a low cargo floor liftover height of 21.1 inches. Payload capacity is rated at 1,500 pounds (S model). Also offers best-in-class** 24 mpg combined fuel economy (City / Highway). * Ward’s segmentation: Light Vehicle Small Van. ’13 Nissan NV200 v. ’12 and ’13 competitors. EPA fuel economy estimate 24 MPG City. Actual mileage may vary with driving conditions. Use for comparison only. Summary The NV200 Taxi is the product of a unique development collaboration – reflecting the input of hundreds of taxi owners and drivers, and thousands of passengers from all walks of life. Designed “from the inside out” with ample room for four passengers and luggage, the NV200 NYC Taxi offers easy entry/exit sliding doors, a panoramic transparent roof panel, anti-microbial seating surfaces and independently controlled rear air conditioning.